Penguin Books India who is convinced over standing by its decision to publish American Indologist Wendy Doniger’s book The Hindus: An Alternative History and are upset with authors and the publishing fraternity for giving up easily in the legal battle, has maintained that the British-vintage Section 295A of the Indian Penal Code (IPC) made it very challenging for any Indian publisher to uphold international standards of free expression. As per reports, in the year 2011, Shiksha Bachao Andolan based in Naraina Vihar in New Delhi had filed a civil suit against the company over the book. In addition to this, there were two criminal complaints filed as well in this matter in Hauz Khaz, in the year 2010 and 2013 respectively. The petitions had claimed that the book, published in India in 2011, was full of blunders in historical facts and Sanskrit translations. 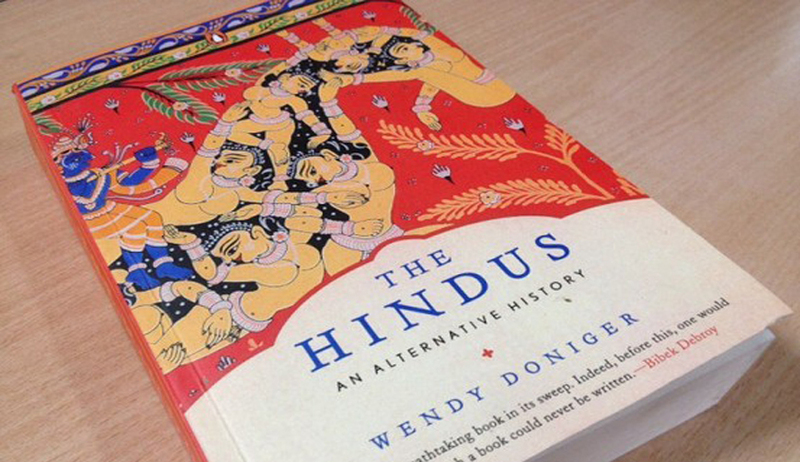 They also claimed that Doniger had given a pornographic twist to Hindu objects of worship. As per reports, speaking about an out-of-court settlement with Shiksha Bachao Andolan Samiti, which had moved the court against the book on grounds of “distortion” aimed at “denigrating Hindu traditions”, Penguin India said it would stand by its original decision to publish ‘The Hindus’, just as it stood by the decision to publish other books that it know may cause offence to some sections of its readership. Penguin India criticized the IPC, and in particular section 295A of that code, for making it progressively challenging for any Indian publisher to uphold international standards of free expression without intentionally placing itself outside the law. It termed it as an issue of great connotation not just for the protection of creative freedoms in India but also for the defense of fundamental human rights. The publishing house which has been criticized for giving up too early by approving to settle at the lower court stage itself, emphasized that the settlement reached this week brought to a close a four year legal process in which Penguin defended the publication of the Indian edition of the book. Penguin India stated that like any other organization, a publishing company too has the same responsibility to respect the laws of the land in which it works, however intolerant and restrictive those laws may be and that it is the moral responsibility of the organization to protect its employees against threats and harassment where it can. The India chapter of PEN International, a global community of writers across 100 countries said preferring to settle the matter out of court, instead of challenging an opposing judgment, reduces India’s intellectual dialogue and considerably weakens freedom of expression. The out-of-court settlement made international news considering Penguin’s position in the global publishing industry, and the U.S.-based National Book Critics Circle (NBCC) in fact advised Penguin India to review its shocking decision to remove The Hindus from circulation in the country. Stating it is conflicting with the traditions of free inquiry that are essential for democratic institutions to function, described the move as a de facto act of self-censorship.